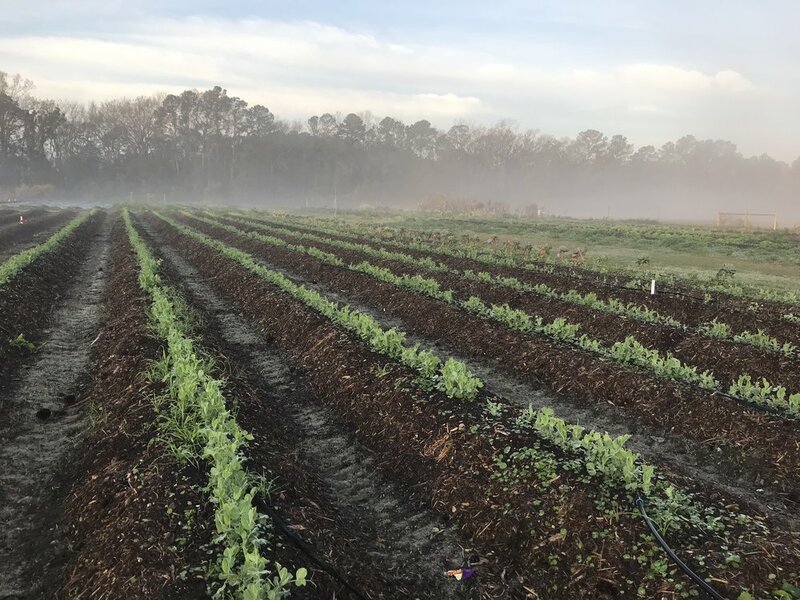 Three Sisters Farm is a USDA Certified organic farm which requires the farm to adhere to the National Organic Program (NOP) strict guidelines for growing our crops. We are certified by Clemson University. The farm is recertified annually. 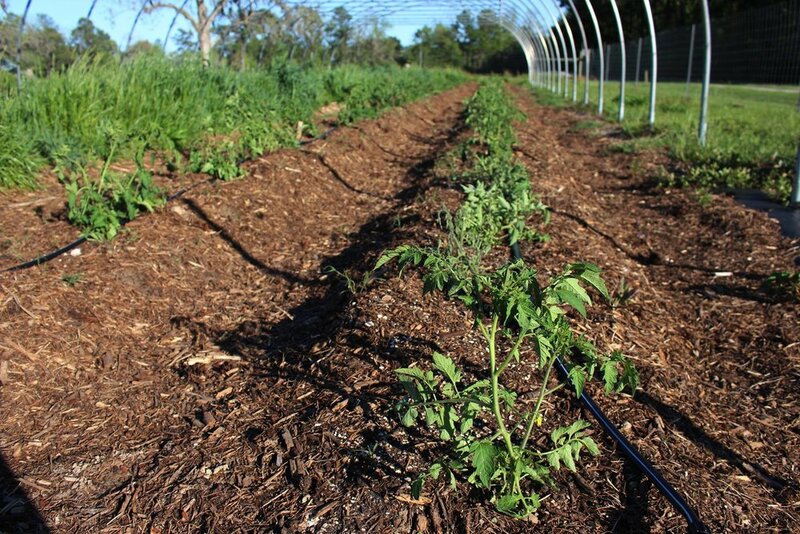 In addition to the organic standards, Three Sisters Farm employs a multitude of sustainable farming practices not required by the NOP. We till as little as possible- this makes the soil healthy, we can use less water, less fertilizer. This prevents soil runoff and prevents runoff into streams. It also retains soil nutrients and aid plants take in nutrient uptake by maintaining soil structure. Blocks are made on the farm. There is no plastic involved in this method and produces a healthier plant starts. There is less disturbance when transplanting. All our beds are mulched to help prevent weeds and conserve water. Our plant waste is composted and we also accept compost and materials from off-site. This conserves water and helps with runoff. While tedious, hand weeding is more gentle on the plants and allows for less soil disturbance. Shallow weeding disturbs only the first half inch of soil. This prevents pulling up weed seeds from underground and prevents disturbance of the soil structure. All of our plants are on raised beds. Rainfall in our area is often heavy with tropical storms passing by on a regular basis dropping 4 to 8 inches in a day. This prevents our plants from “drowning” in heavy rains. Cover crops are used to keep soil from being exposed and being washed away in rain or blown away by the wind. Roller Crimping cover crops are used to create a pre-mulched bed. Food for pollinators is important so many of our flowers do double duty creating a habitat for beneficial insects who help contain pest populations. We maintain honey bees to help with pollination of our crops. The word occultation actually comes from the verb “occult”—to cut off from view. When you employ occultation in your garden, you cut the soil off from sunlight. Popularized by farmer Jean-Martin Fortier in his book The Market Gardener (New Society Publishers, 2014), an occultation is typically done with large opaque tarps or sheets, weighted down with rocks, sandbags, logs, dirt or whatever is available.